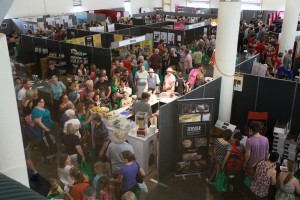 Each year Coeliac Queensland presents an Expo, this year to be held at the Brisbane Convention and Exhibition. For sufferers of Coeliac Disease, the Expo is an opportunity to hear from doctors and dieticians, observe cooking demonstrations and to view and sample new products from some of Australia's major food companies. The expo is not just for sufferers of Coeliac Disease, but for anyone with an interest in gluten-free foods. On Friday 10 May from 5-9pm and Saturday 11 May from 9am-3pm, visitors to the Convention Centre for the small fee of $15 for Adults ($10 for Coeliac Queensland members) can browse the trade displays and sample and purchase products. Major exhibitors include Coles, Simply Wize, Tasty Bite and Zehnder, however smaller companies who provide Gluten-Free solutions are also present, including Stella May, Country Life Bakeries, Kez's Kitchen, Maleny Cusine and Melinda's Gluten Free Goodies to name a few. You can see a full range of supporters here. The program of events includes presentations of a diverse nature. For those interested in recent medical research and dietary information, they may wish to hear Dr Andrew Pascoe, gastroenterologist from the Wesley Hospital who will be talking about how to be diagnosed with coeliac disease, or Dr Richard Muir, a recipient of a Royal Children's Hospital Foundation Clinical Fellowship Grant, who will discuss follow-up testing following a diagnosis of coeliac disease. Dr Sue Shepherd will discuss the differences between irritable bowel syndrome and coeliac disease and what it means for sufferers. Informative presentations from medical practitioners. 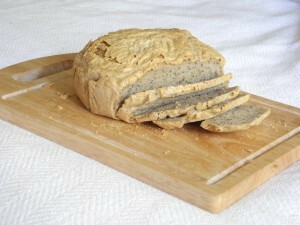 The preparation of Gluten Free foods is often a challenge, especially for those who have been newly diagnosed. With this in mind, Coeliac Queensland have arranged for presentations from Suzanne Wells from the Gluten Free Cooking School at Samford. In her talk on Friday evening at 6pm, she will discuss how to convert familiar recipes into gluten free versions which will be enjoyed by the whole family. 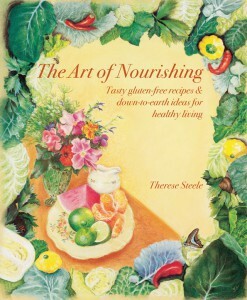 Therese Steele, author of The Art of Nourishing, will also give a cooking presentation at this year's Gluten Free Food Expo. Therese will be giving a demonstration on how to cook quick and easy gluten free bread as well as making your own pizza bases. Visit the Information Stage at 10.00 am on Saturday 11 May to watch Therese's presentation. There is also a full program of MasterChef cooking demonstrations, being presented at the Coles stand, with scrumptious recipe titles such as Chicken larb with gluten free pasta, Italian pork sausage, chilli and broccoli with gluten free pasta and Gluten free bread and butter pudding with vanilla strawberries! For a full list of all of the presentations on offer, visit here. Whether eating gluten free by choice or for a medical condition, the Gluten Free Food Expo presented by Coeliac Queensland is the best opportunity to view, sample and purchase products under one roof. An excellent opportunity for all to learn new skills and remain informed, the Expo at Brisbane Convention and Exhibition Centre on 10 and 11 May is a must for anyone with an interest in Gluten Free Food.